Subject: How to increase your social network traffic. If you’re anything like me then you are constanly looking for ways to get more social traffic, right? But as you may already know, it’s tricky sometimes. At one point or another, it’s something we all experience and although it’s not a nice feeling, there’s a practical solution that solves this common problem. Simple. I have right here the perfect solution to increase your social traffic literally overnight…and I know, that’s a pretty bold statement. But as you keep reading you will discover that I’m saying that for a reason – a reason SO powerful that it will help you transform everything. 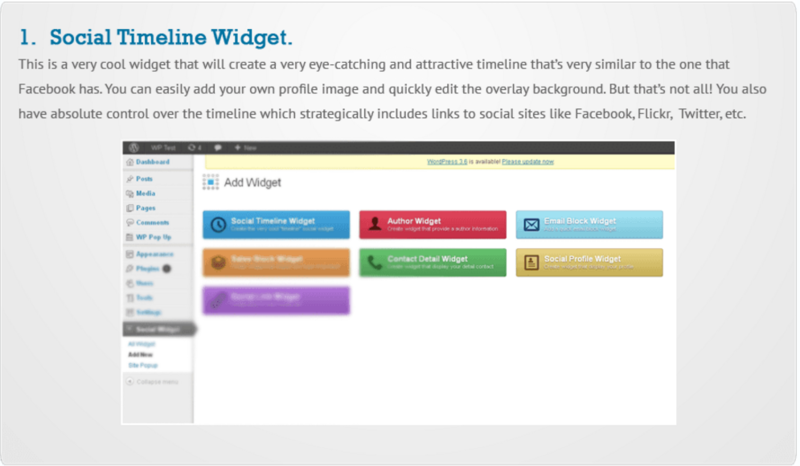 Tiger WP Social Widget® is a fantastic WP Plug-in that will help you massively increase your social traffic to your social media profiles in Facebook, Twitter, Google +, Youtube, RSS feeds, Pinterest and much more. Option B, the most recommendable to you, is to secure a copy of Tiger WP Social Widget® and never look back. You’re fully protected by a solid, ironclad 30-day money-back guarantee. This means that if you’re not fully satisfied with WP Social Widget®, all you have to do is let me know, and I’ll promptly and courteously refund your money.